We are “safety freaks” when it comes to sailing. Our mindset was developed by greatest safety freak I know our guru Daniel “the pirate” Mattson. He pushes us to think about what can go wrong, than put a plan to mitigate this risk. Than think again what else can go wrong, than mitigate it… as so on for five times. The result is… a lot of money invested on safety aboard gear and a lot of time spent on how to react if things go wrong. They have two engines instead of one. 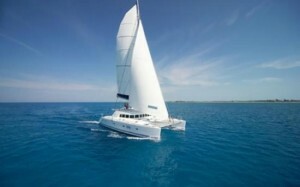 Our model, the Lagoon 440, is known to be a specially sturdy model used with great success by charter companies. A series of unexperienced sailors have proof tested these boats around the world. Radar: to support on night sailing mainly on low seas. The Coconut Milk Run: We have planned a route that is called the Milky Way. This is the easiest and warmest possible route to circumnavigate the world. It is perfect for those that do not love high seas. So we are hopefully mainly sailing mild downwind conditions with warm water. We are certainly running away from places like the Cape Horn type of stuff. Winter seasons: We aim to stay within the tropics. However mainly on winter seasons so that we run away from most common hurricane and cyclon seasons. 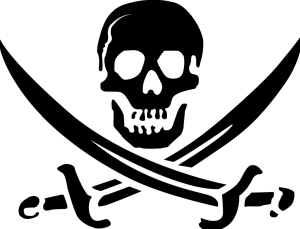 Piracy: Though we would love to dive the Red Sea, our route avoids regions known for high piracy risks. We don’t plan to sail around places such as the Malacca Straight, the Gulf of Aden and West Africa. Of course the goal is to never have anyone falling overboard. The boat has two jack lines going from bow to stern. Every life jacket has a harness and its own safety tether attached to it. The crew members must use them on rough weather and night sailing. Our life jackets are the latest generation available. On top of the harness and safety tether, they also have automatic light and inflation system. We also added satellite tracking, personal AIS, personal location beacon to it. This means that if someone goes overboard, it sends signals back to the boat, other vessels and rescue centres. To start with, we are not a commercial vessel and we are not on a tight schedule. We can afford to take our time and leave port when the weather forecast looks more steady and stable. This is, in a good portion, a great way to avoid challenging conditions. However for longer passages it it impossible to forecast the weather for the whole crossing. So we will make them during the known to be safest months of the year. However there is always a possibility to encounter some rough weather. We are not here to prove anything to anyone nor to win any speed record prize. So in any indication of rough weather we will reef sails as soon as possible. If yet the cruise continues too rough and uncomfortable, regardless to where we are going, we face the catamaran downwind. This way the apparently wind speed and efforts on the boat decreases. If the boat speed is too fast going down the waves and the bow is getting too deep underwater we use a drogue. This slow us down and avoid having the boat in the same cycle as the waves. Finally, if even this way the passage is still too rough and wate r is coming in from the stern and into the cockpit, we turn the boat around facing the wind, throw our sea anchor and wait for some better weather to come. 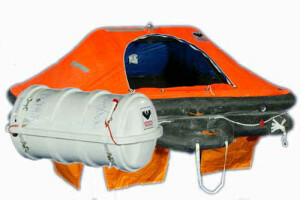 We hope to never have to use it, but if we do, the boat is equipped with a fully loaded life raft and a quick grab bag. 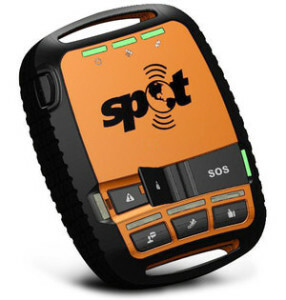 These will include food, fishing gear, portable water maker and solar panel, satellite phone and tracking devices, EPIRB, VHF radio, personal AIS, PLB (Personal Location Beacon) and signalling torches.